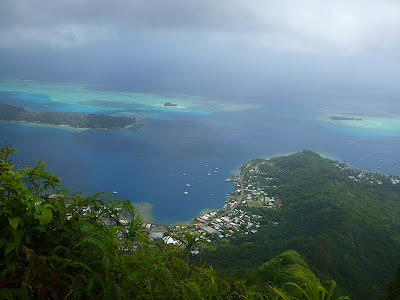 We had wanted to go directly from Moorea to Maupiti---then return to Bora Bora to check out of French Polynesia---but the weather conditions upon leaving Moorea were too poor to make it through the pass at Maupiti. 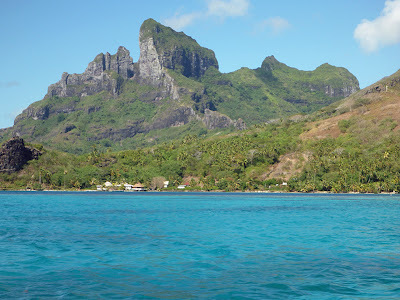 Reluctantly, we headed to Bora Bora instead. We ended up having a great time on Bora Bora due to the fact that there were several crews/boats we’d met before in the anchorage. 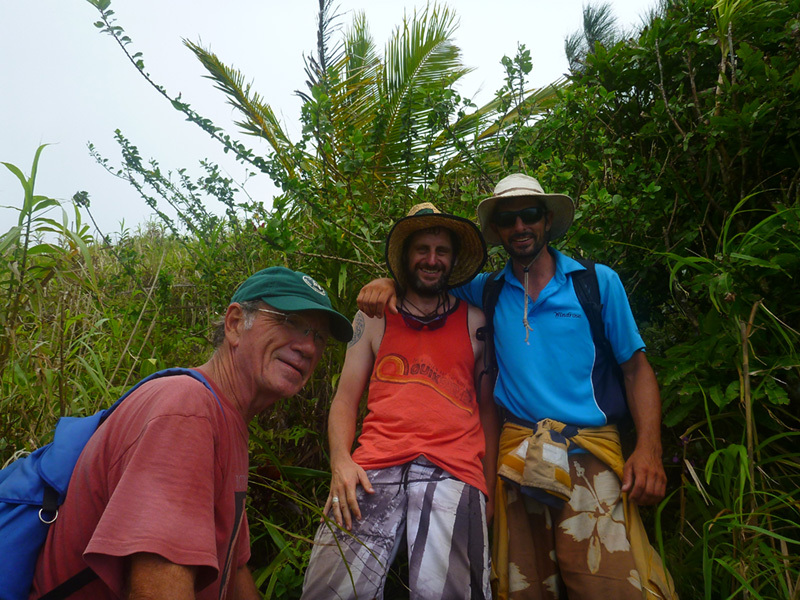 In addition to reuniting with crews from Kahia and Oyaragh, whom we'd met in Nuku Hiva and Moorea, respectively, we met the rollicking crew of Nakesa for the first time. We also finally met the crew of Morning Glory, a boat that we'd been seeing off and on since we'd shared an anchorage with them in Puerto Ayora. Last but not least, we once again ran into one of the Brothers Bruyn. Unbeknownst to us, the cargo ship that followed Silhouette through Teavanui Pass into the Bora Bora lagoon was carrying two crew members from Double Bruyn. They had left the boat in the yard at Raitaea and were in Bora Bora for a quick visit, where they planned to stay on a friend's yacht. After securing our mooring at the Bora Bora Yacht Club and taking the dinghy in to the dock to check in, we met Paul Bruyn and Double Bruyn's most recent recurring crew member, Richard, already downing their first beers at the yacht club. We joined them for a "catch up" session, and we decided that we would all climb Mt. Pahia in two days' time. When they found a hiker on the mountain in bad shape three days after he set off to climb Mt. 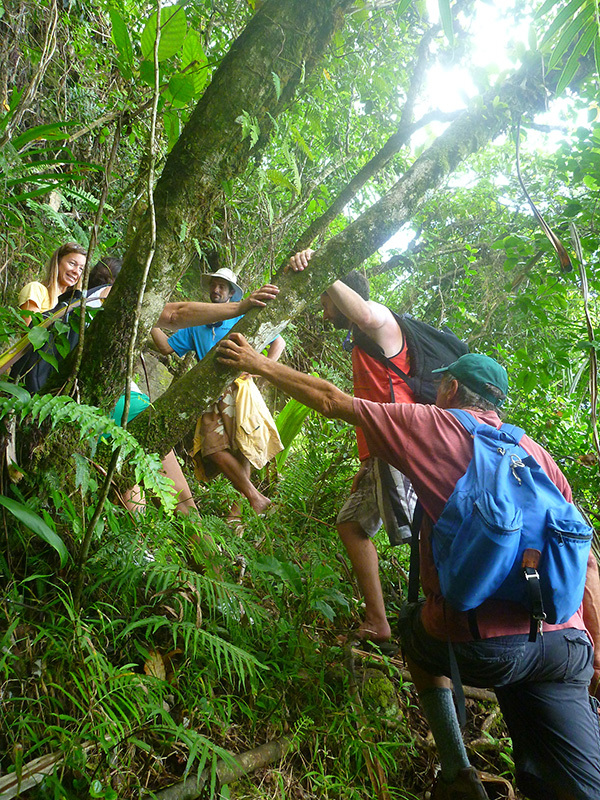 Pahia, the city of Vaitape adopted a resolution that it would prefer hikers to go up the mountain with a guide. If you are an experienced hiker who knows your limits, you can easily follow the trail without a guide. 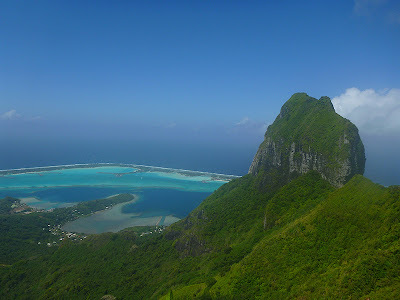 The start of the trail does not appear on any of the tourist maps of Bora Bora, and I haven’t seen any topo maps here. But if you ask around, the locals will help you find the start of the trail. Be aware that climbing Pahia is more than a hike: Scrambling is involved, and there is a short (roped) section of technical climbing near the summit. Several sections of the trail are roped; however (depending on one’s ability and the weather), the ropes are not necessary on all of the sections in which they appear. The trail would be difficult to impossible in heavy rain (especially the descent), and the saddle and summit approach would be dangerous in high winds. 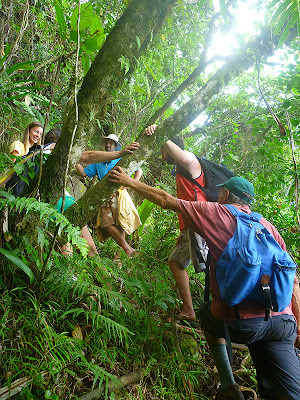 The entire trail is steep, and there are many slippery sections over mud or wet rock. 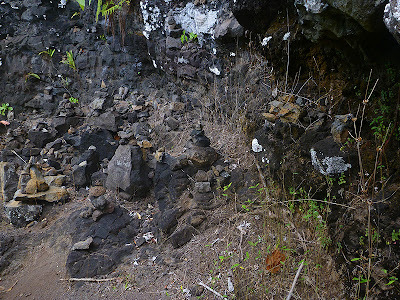 The road leading to the trail is five shops north of the Gendarmerie; and in 2012, there is an open air shop selling curios and ukeleles at this spot. The residential road leads back into the hills, and there is a sign posted on the road advising hikers not to go up the mountain without a guide. You can’t see the sign from the main road going around Bora Bora; you have to be back near the shops because the sign faces the residential cross street leading to the trail. The road dead ends at a private home; just before the house, a left turn takes you on to the trail. The lower reaches of the trail are marked with unique trail markers (clusters of empty plastic water bottles hung on trees or ribbons tied to trees); once past the lower reaches of the trail, there is only one way to go and the route is obvious. 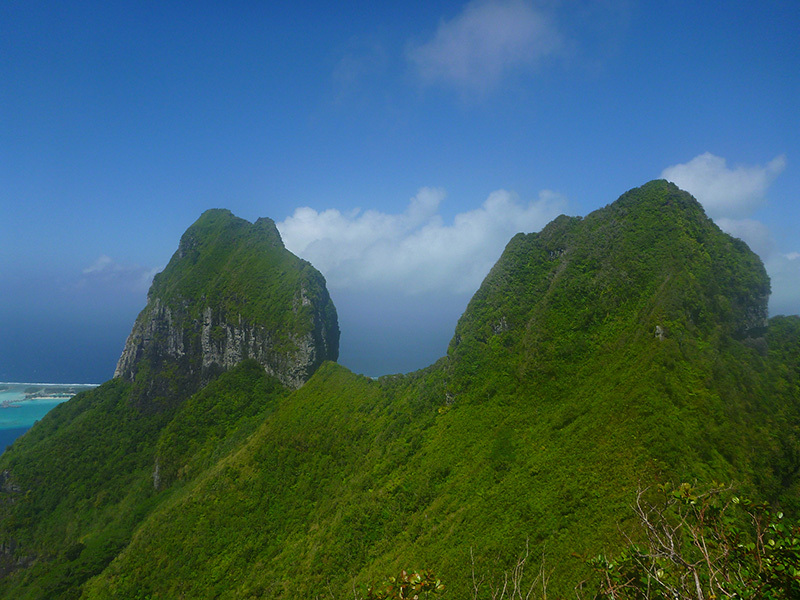 The trail starts climbing immediately, and it isn't long before you get your first views. We met some other hikers on their way down the trail----notice everyone holding on to a tree! Once you are two-thirds of the way up Pahia's slopes, you traverse around to the back side of the mountain, traveling under a rocky ledge. You scramble up two rock/mud gullies before ascending another steep section of trail to emerge on the first (west) summit. From the last section of trail, we had a splendid view of Bora Bora's highest peak, Mount Otemanu. 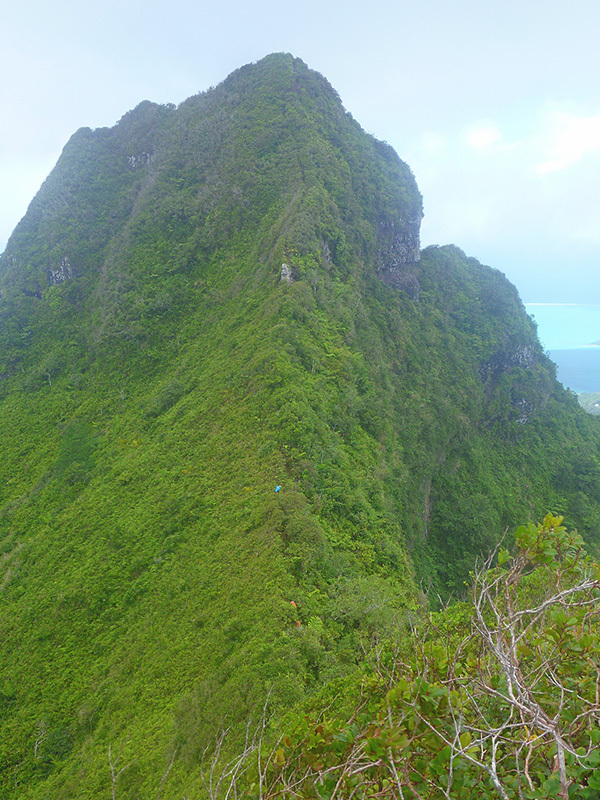 Otemanu has never been climbed, and some people have died trying. The rock on Mt. Otemanu is so crumbly that climbing aids (which are obviously necessary) pull right out. We rested and had lunch here while waiting for the mists that had come in to clear on Pahia's true (east) summit, only a few meters higher. After lunch, some of us set off to attempt the true summit. The vegetation along the saddle gave a possibly misleading feeling of security: The ground was very spongy and may not have been altogether solid in places. 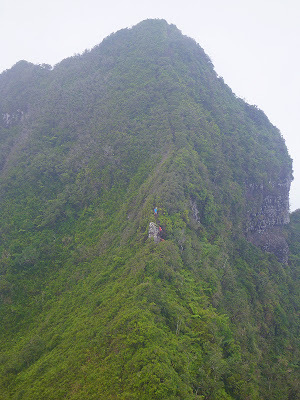 After crossing the saddle and beginning the climb toward the summit, we came to a short (12-15') section of vertical rock that required climbing skills or enough upper body strength to use the rope positioned there to ascend. I didn't feel like I could climb it without the rope, and because it was exposed and it wasn't my own gear, I didn't want to put all my eggs in the rope basket. I stopped climbing at this point. Paul and Richard made it past this crux move and on to the true summit. We had a wonderful time climbing Mt. Pahia, and the views from partway up and from the top were amazing. We definitely felt the strenuous climb the next day. 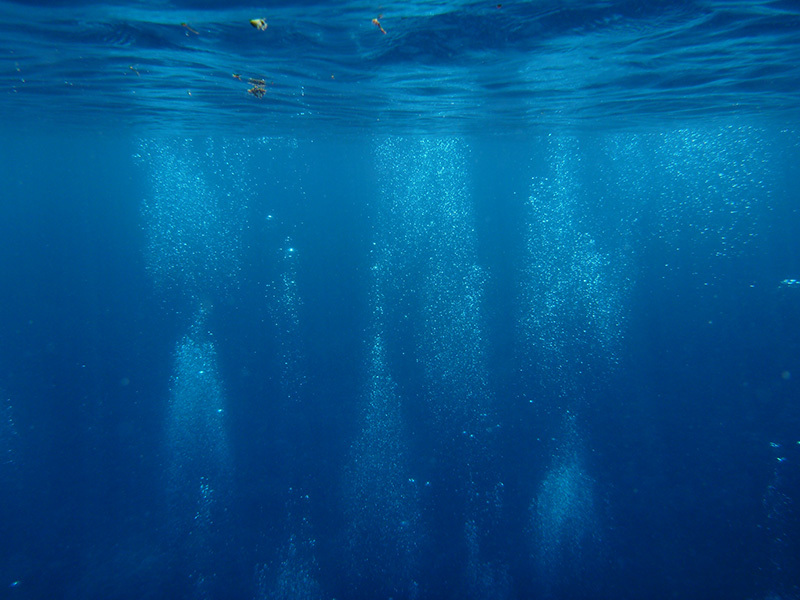 While in Bora Bora, a number of things on the boat began to fail. Our Pactor modem had recently been acting funny: It had become more and more difficult to get a signal to receive weather reports via the radio. Thus ensued a trouble-shooting email exchange between Patrick and the US factory representative; after Patrick tried everything they suggested, our Pactor modem was officially declared “dead.” Our modem was a 20 year-old Pactor 2 modem. However, before leaving to go cruising, we got the Pactor 3 upgrade and had the unit tested at the factory. It passed all of the tests, and we were advised not to replace it because they "last a long time." Now we are told that the units can have unseen corrosion between the layers in the circuit board. We probably won’t replace the unit until we get to New Zealand; however, we can no longer receive some types of weather data, update our position, make a blog post from sea, or send and receive email from sea. As you can see, we've lost a very important member of our crew: the communications officer! We can check weather from the internet when we're in port, but once underway, our options are limited. We will have to rely more on radio reports and reports from other cruisers than the GRIB files we've been using. On long passages, we intend to check in with the Pacific Seafarers’ Net, and they will file position reports for us. On short, one to two night passages, we probably won’t check in, so there may be a lapse of several days without an updated position report for Silhouette. 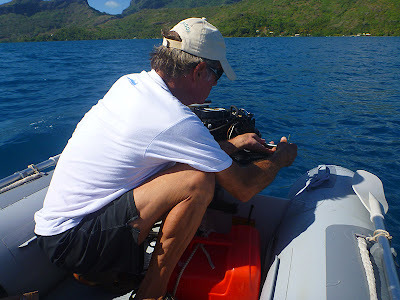 Our outboard engine for the dinghy had also been sounding funny and occasionally stalling. We determined that the float in the carburetor was probably stuck, dismantled the carburetor and got the float “unstuck,” and reassembled the engine. We thought we had the problem fixed until we were en route to the north side of the island in the dinghy to see the manta rays. The engine started stalling again. Here’s Patrick changing the spark plug in a last-ditch effort to determine the cause of the problem. The new spark plug didn’t help, so we turned ‘round and limped back to the anchorage. Patrick replaced the carburetor (for a 6 Hp engine) with a spare (intended for a 4 Hp engine), and the problem was solved; although our speed and ability to plane were reduced. Finally, the primary bilge pump was “sounding funny.” Removing the bilge pump to investigate the problem required disconnecting the muffler from the engine and disconnecting the prop shaft, in order to maneuver the large bilge pump out of the bilge. The good news was that the bilge pump (although having some debris stuck in its screen) was fine; the bad news was that removing it broke the old, brittle hose carrying the water from the bilge pump overboard. Patrick replaced it with some new hose and the bilge pump was good to go. The Bora Bora Yacht Club held a party while we were there. I can’t even begin to describe what it was like dancing to really bad canned music with three men wearing a petite woman’s cast-off tight black T-shirts (decorated with 80’s disco themes) that exposed their midriffs. Don’t even go there. The petite woman was also present, as was the female crew member from another vessel, and moi. 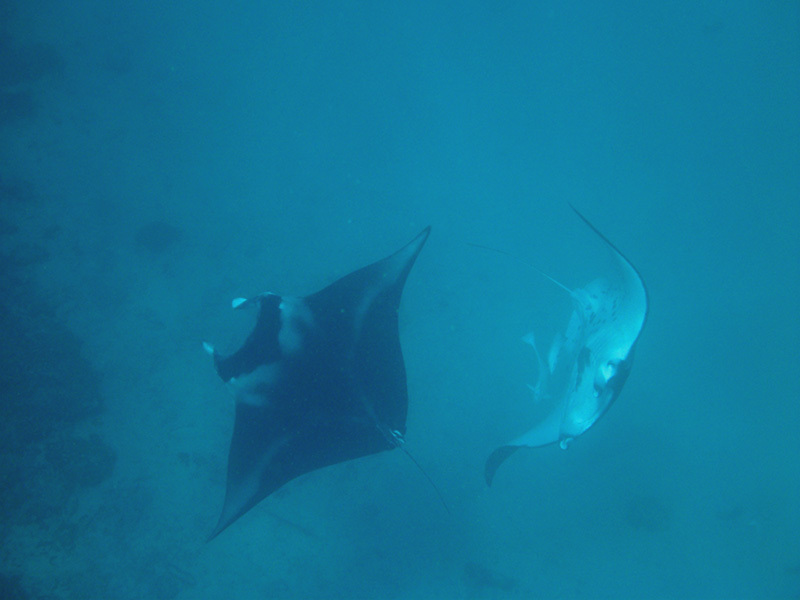 Let it be known that two prudent male skippers kept their distance from the nonsense and conversed about rational things until 1:30 a.m.
One of the absolute best days I’ve spent cruising was snorkeling with giant manta rays on Bora Bora. Patrick and I took the dinghy to Anau (about an hour's ride in our dinghy), where the giant rays were reported to hang out. We anchored the dinghy when we saw a cluster of dive boats and snorkel tour boats and donned our snorkel gear. As I glided out over the reef and into a deep channel over a submarine canyon, I held my breath in disbelief as I spotted the first of these magnificent beasts. A giant manta ray was gliding over the canyon floor. 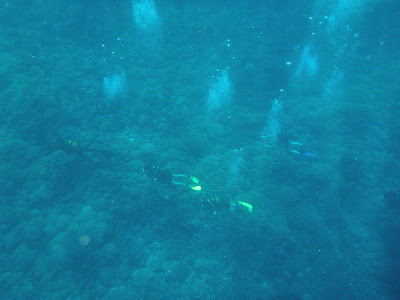 The visibility was amazing, and we could see 30 to 50 feet below us while snorkeling. Although I’d heard the term “giant manta ray,” it does not prepare you for the sheer size of these creatures. The ones we observed were anywhere from six to ten---perhaps twelve---feet from wing tip to wing tip. The immensity of their surroundings (deep canyon in a vast lagoon) made it difficult to judge their true size. The mantas were graceful, gentle creatures. They struck me as friendly but wary. After snorkeling with the mantas for a couple of hours, the tour boats and dive boats began to thin. 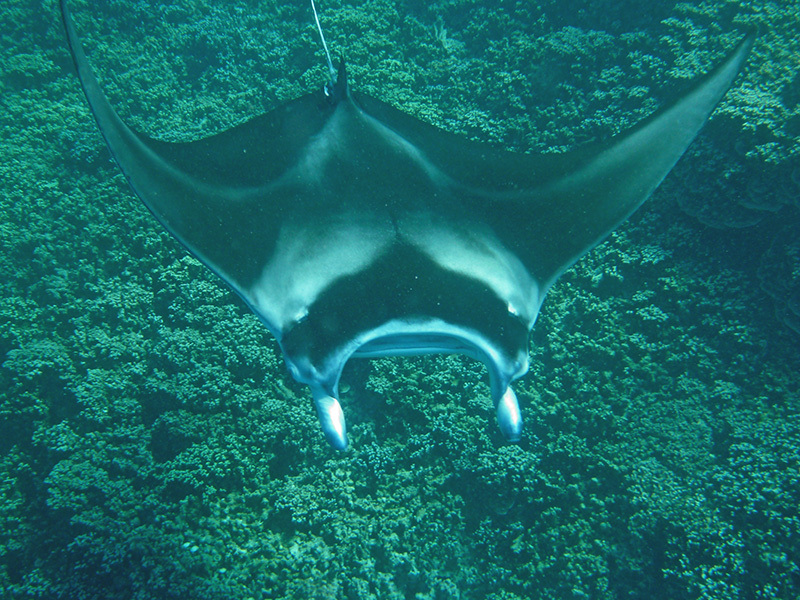 Every time the boats and throngs of people disappeared (“throng” is a slight exaggeration---dive tours were small groups of 4-6; while snorkel tours had up to 20 people), the mantas would start behaving differently. 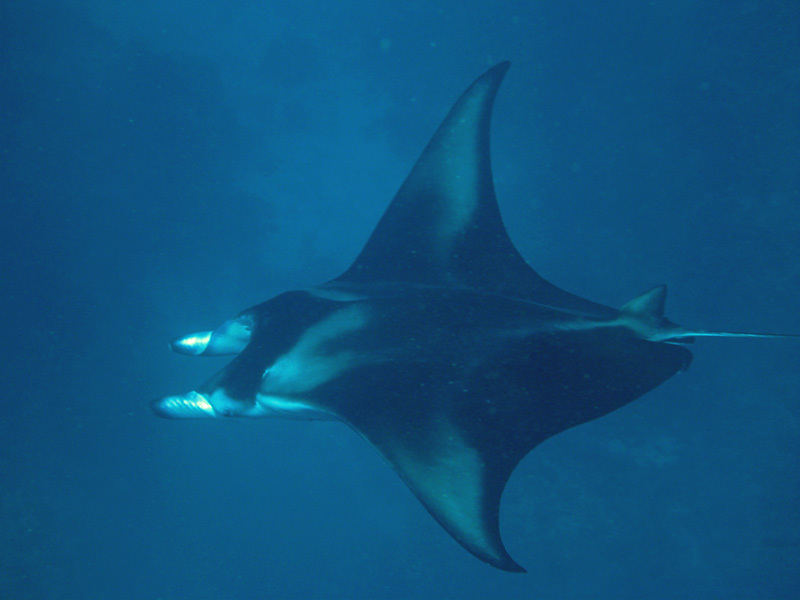 While they separated into small groups and kept to the bottom when the tour boats were around, when the boats disappeared, I found myself surrounded by up to eight giant mantas at a time. 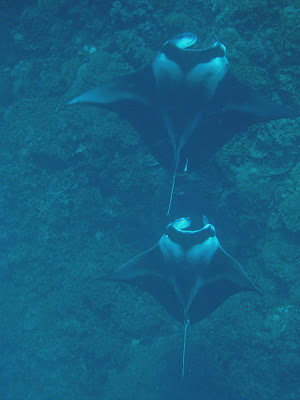 The manta rays would then climb higher in the water column, spiral around each other, and sometimes swim upside down. Their feeding behavior was more evident when the tour boats were gone, and I could see their huge, basket strainer type mouths working the plankton in the water column. (I never did get a good picture of this.) 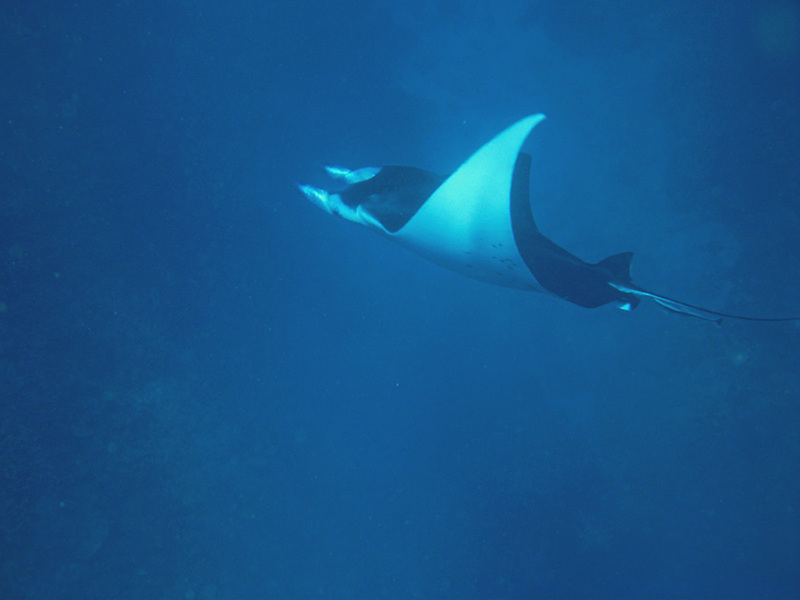 The presence of many humans definitely affected the behavior of the manta rays, but when it was just me (Patrick had by now retired to the dinghy to warm up), the rays seemed indifferent to my presence, and it was magic. 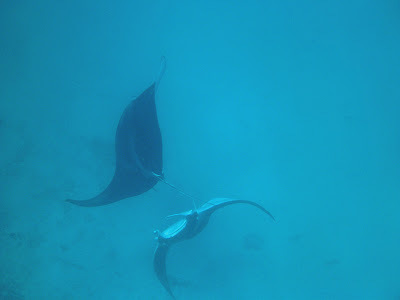 Patrick and I snorkeled with the same group of rays for two to three hours. Even though they disappeared and reappeared throughout the morning and early afternoon, we were able to recognize individuals. There was a large satiny ray with a pure dark back. 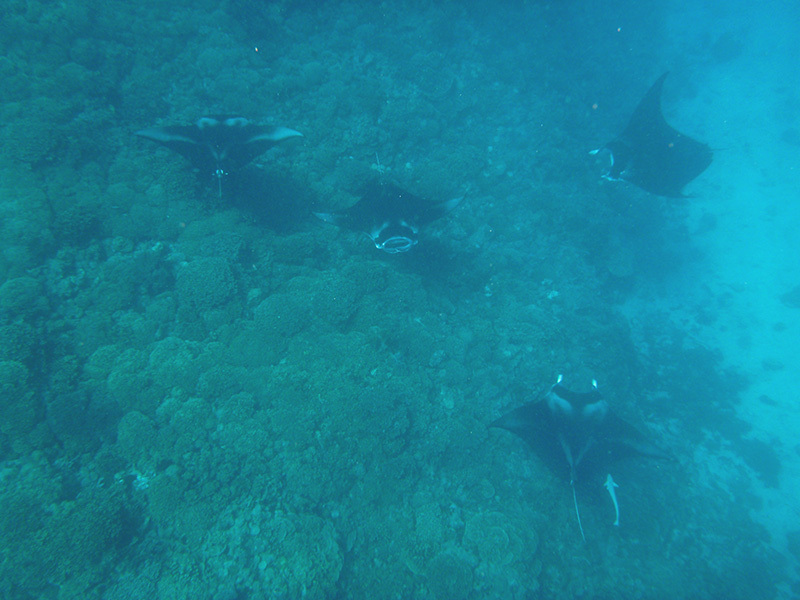 There were several manta rays of varying sizes with white to silver patches on their dorsal sides. 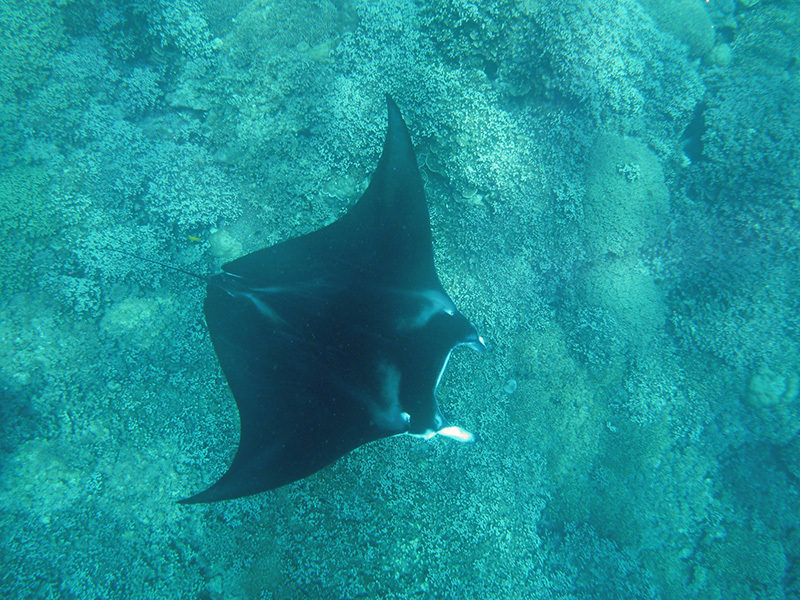 Another giant dark-backed ray was missing one of its palps. All of them were beautiful, graceful, and regal. 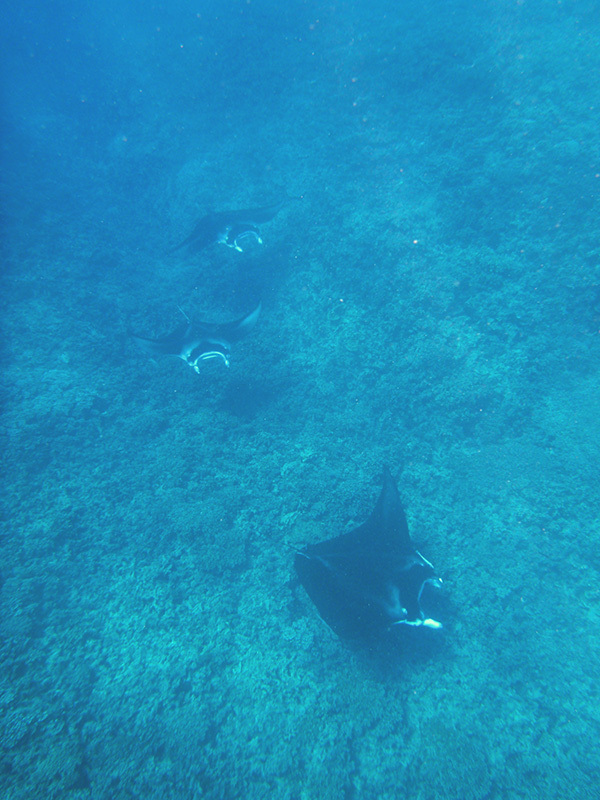 I stayed in the water with the manta rays long after my camera battery died and I was thoroughly chilled. 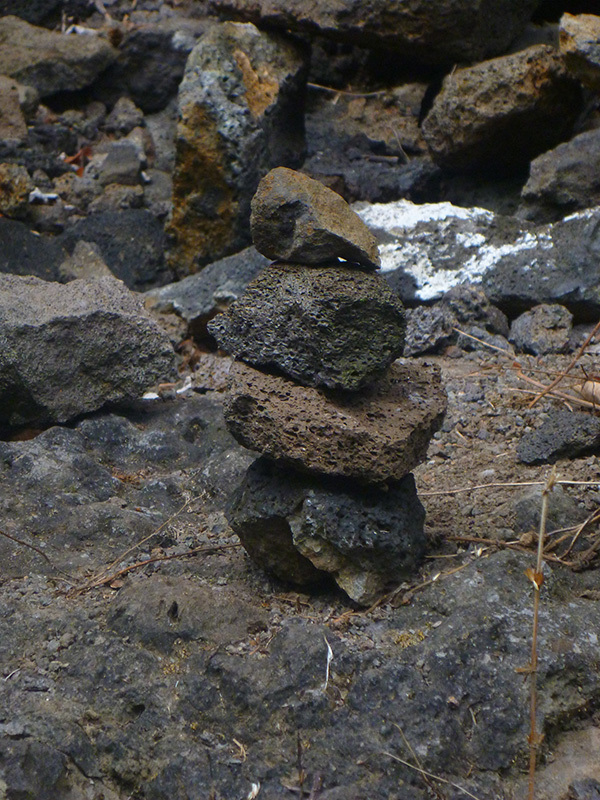 I barely explored the reef above the canyon, which---in and of itself--- was amazing. I did notice my first spotted eagle ray soaring over the canyon wall with its blunt, rat-like face. I also saw a gigantic box or porcupine fish (not sure which): It was the biggest fish of this type I had ever seen. There was an entire school of flutemouths hovering over the canyon rim instead of just the one or two scattered individuals you usually see. 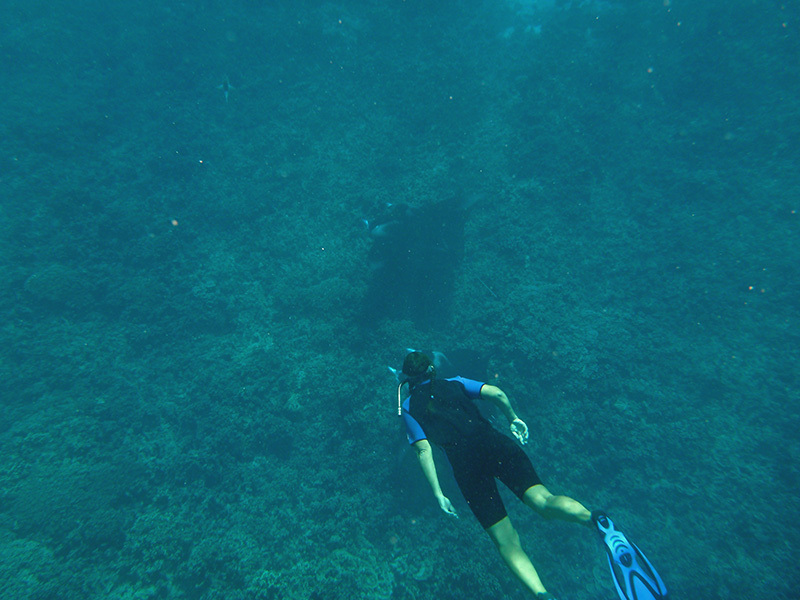 The shallower you got, the clearer the water became, and the reef fish and giant clams, ever more colorful. 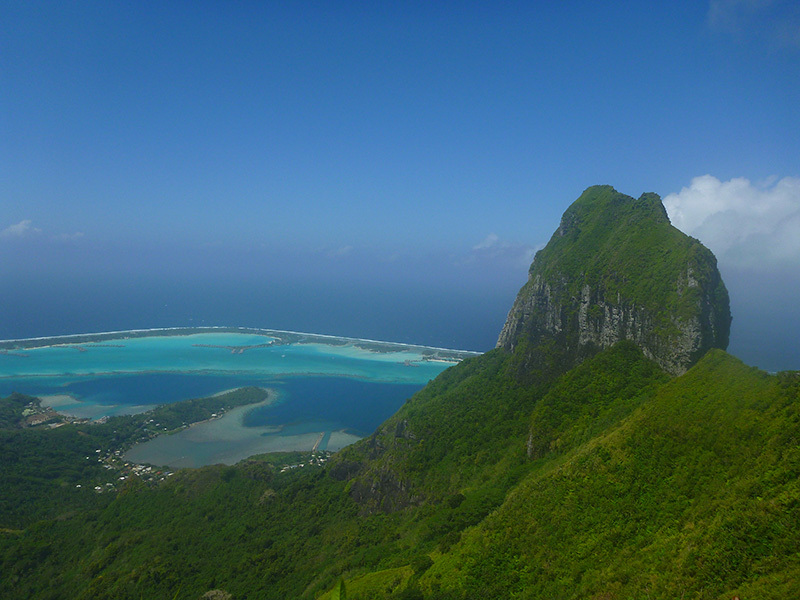 If it hadn't been our last day in Bora Bora, I would have definitely returned to this spot again. I love the way I am transported away from Ballard, and the boys in the den playing Lego(at this very moment,) to a magical world, there for any one of us to explore. Yeah, all this south pacific stuff is cool, if you're into that sort of thing. More importantly, though, I wanted you to know that some of these shielded RCA cables you gave me are coming in _way_ handy for connecting up a little solid state linear that I got for the HF rig.